It is the simplest spa therapy in which vitamin-based creams are pushed into the skin with the help of ultrasound or electrical currents. While ultrasound makes the products pass into your skin through shakes or movements, galvanic currents of high frequency pushes them deeper for more sound results. 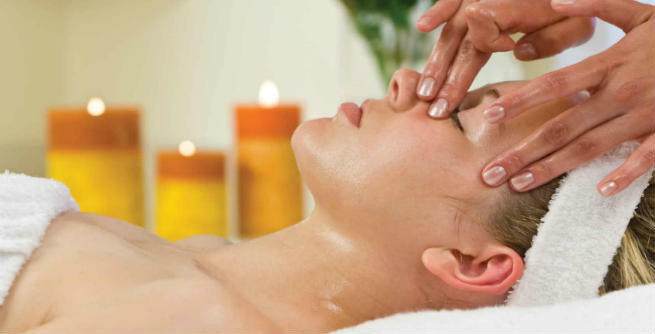 You can undergo an anti-aging facial once a month depending upon the condition of your skin. It is a modified form of regular anti-aging facial, which includes the removal of the surface layer of dead cells from our skin. Crystal Clear Oxygen Therapy makes it easy for the products to go deep into the skin, thereby giving us instant as well as highly effective outcomes. Here is another great spa therapy which facilitates the elimination of dead cell tissues from our skin significantly. The Diamond Tip Microdermabrasion promotes the formation of collagen within our skin so that we get rid of wrinkles, fine lines, age spots, pigmentation, scar marks, etc. You need to go through 6 sessions each of which is 45-minutes long. Microcurrent is a simple spa therapy which involves mild to average face exercises for combating aging. In this treatment, our face muscles are made to contract as well as relax again and again. As a result, we get a healthier and more toned face. You need to attend 6 sessions each of which lasts half an hour. When it comes to getting the Alpha Hydroxy Acid Peel treatment, an expert spa therapist should assess the nature and requirements of your skin first. This is basically a peel of medium strength, which helps in eliminating the outmost stratum of our epidermis. A 30-minutes’ session of this treatment will work amazingly. It mainly addresses issues like pigmentation, uneven skin tone, etc. along with brown spots, wrinkles, fine lines, and so on. The Hyperpigmentation Peel plays a key role in curing hyperpigmentation as well as speeding up the process of cell renewal with the help of a perfect formulation comprising a peeling acid solution, a skin lightening agent and an anti-inflammatory product. If loose facial skin is something that you want to get rid of, go for this excellent non-surgical spa therapy. This Face Lift procedure does not revolve around the inclusion of injectibles in our skin. Rather, it stimulates the productions of collagen and elastin by making use oxygen, micronutrients, LED light and microdermabrasion. 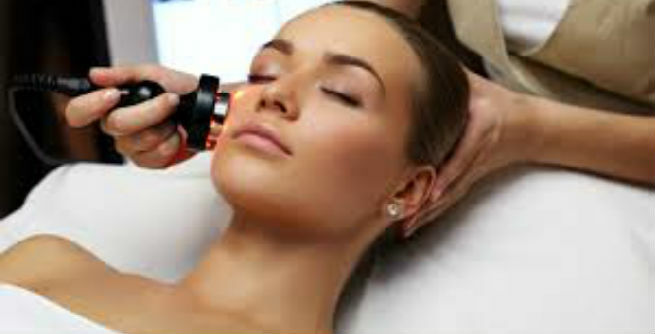 You will get a soft, smooth and youthful skin just after attending 7 to 8 sessions. Reputed spas also use Light Emitting Diode or LED device for warding off harmful free radicals from our skin and accelerating the formation of collagen. This therapy is very much beneficial for us as it can restore the lost tone and texture of our skin and rejuvenate it completely.